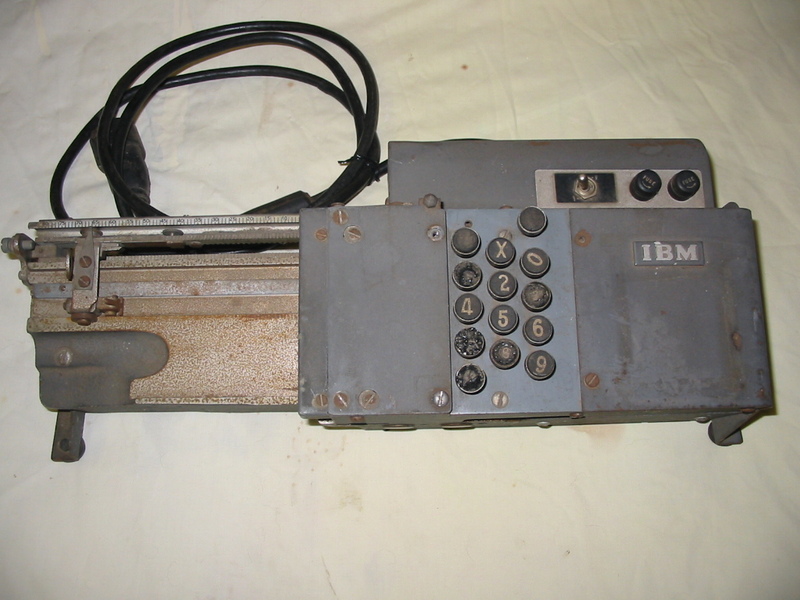 The IBM Type 10 Card Punch is a table top electric Key Punch that was Manufacturer by International Business Machines Corporation (IBM) around 1945. This device allows the operator to manually punch one column at a time. There are some cards in front of the keypunch.